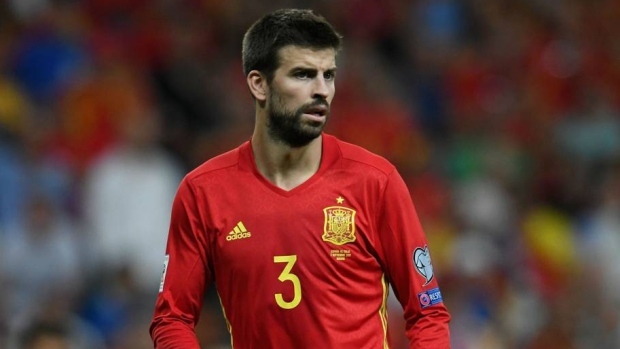 BARCELONA, Spain — Barcelona defender Gerard Pique confirmed Saturday he has retired from Spain's national team. The 31-year-old Pique says he has told new Spain coach Luis Enrique that the World Cup was his last tournament with "La Roja." Pique said "the decision had already been made a long time ago and it was well thought out." Only 12 other players have 100 appearances or more with Spain's national team. He said he felt "fortunate for being a part of the national team during such a beautiful and successful time."